A highlighter is a great make-up item to make your skin look more natural, more glowing, almost as if you’re bathed in candlelight. Basically, a highlighter is face makeup that attracts light, creating the illusion of brightness and height, hence that lit-from-within look. People often use it in addition to contouring to lift and push features back. 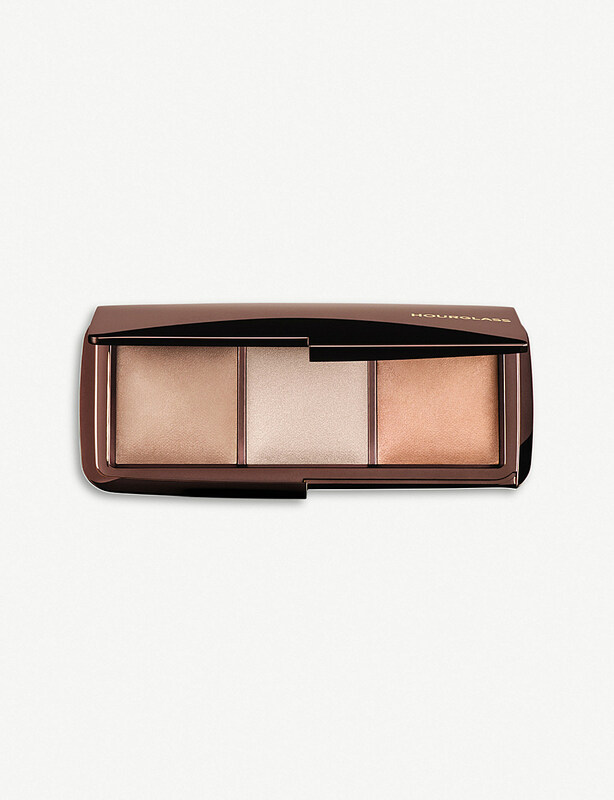 Responsible for revolutionising beauty, Hourglass focuses its formulas on technological innovation. 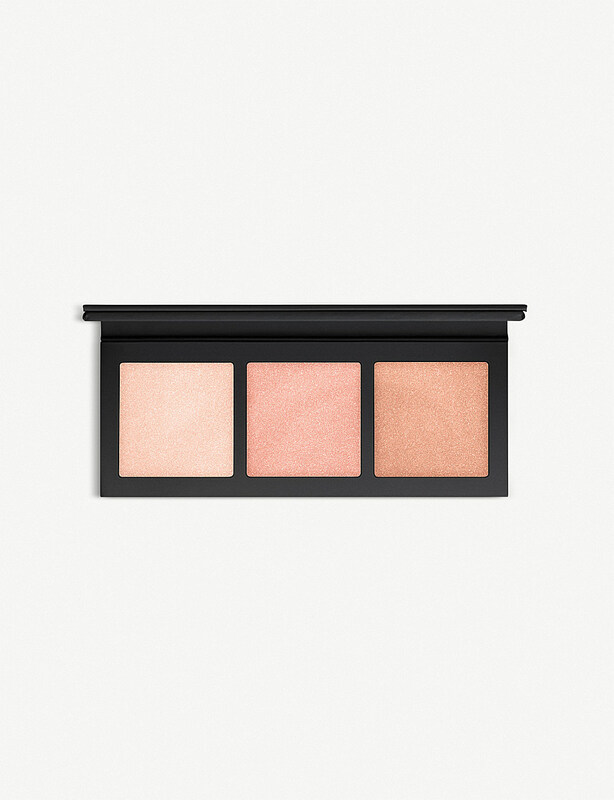 The Ambient Lighting Palette uses ground-breaking Photoluminescent Technology to mimic the flattering effect of three different light sources, each one creating its own multi-dimensional glow. Universally suitable for all skin tones, they cleverly filter out harsh light to conceal pores, imperfections and lines, day or night. There’s something about a sun-kissed complexion that instantly makes you look healthier and more radiant. Bobbi Brown can’t help but agree and the label’s Highlight & Glow Shimmer Brick is perfect for reviving your skin even when the weather’s less than desirable outside. Comprised of three different blocks in a spectrum of different illuminating tones, this set promises to beat cloudy and rainy day blues. 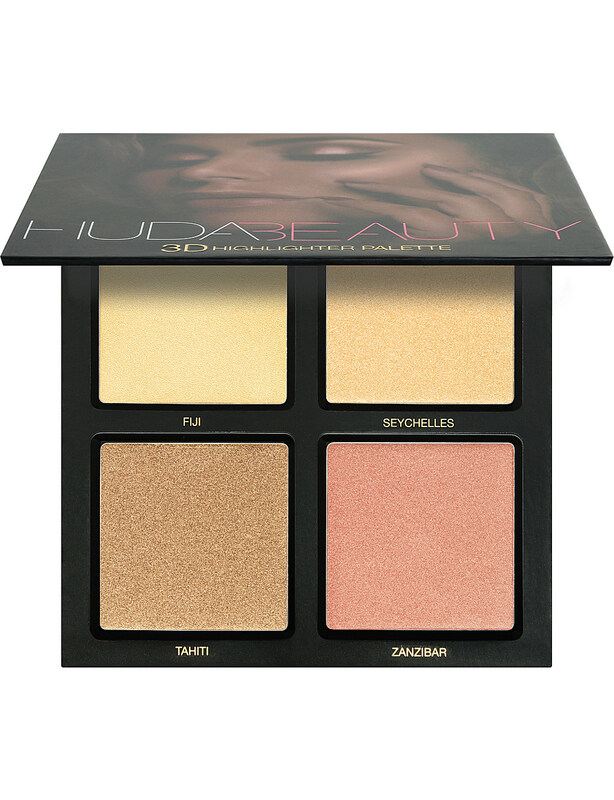 The ultimate Insta-Glow is now in everyone's grasp thanks to the 3D Highlighter Palette from Huda Beauty. 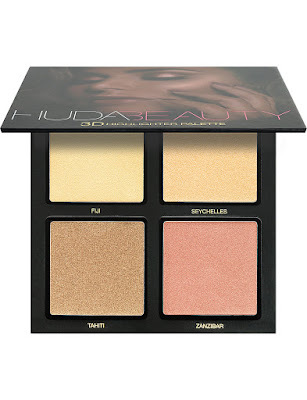 Enthused by the beauty guru’s hack of layering oil with powder highlight to create an instant glow, this palette features two textures including Melted Strobe - a creamy formula enriched with shea butter - and three light-catching pressed pearls staggered in complimentary tones to give you a sculptural, 3D radiance. 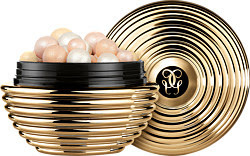 Embellish your complexion with the ethereal beauty of GUERLAIN Météorites Gold Pearl - Light-Revealing Pearls of Powder, a limited edition shimmering skin enhancer complete with powder puff. For one season only, the iconic Météorites pearls are transformed into a legendary collector’s piece, befitting a festive fiesta of opulence. The outer casing becomes a golden object of desire, while its precious contents of gold pearls fights dullness, and champagne and white pearls reflect the light to enhance the face and décolleté. 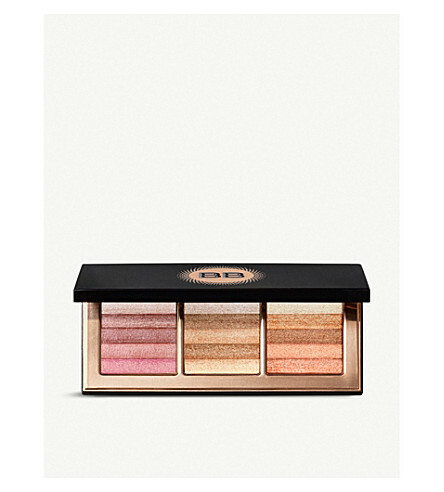 The GUERLAIN Météorites Gold Pearl features stardust technology, which transforms light invisible to the naked eye into a perfecting halo, blurring lines and imperfections for a truly radiant result. The legendary Météorites fragrance of violet kisses the skin with its elegant aroma. MAC ’s Hyper Real Glow palette features three hues of highlight for supercharged, ecstatic-in-love-level radiance. Bring on a rush of warmth in this trio of burning gold shades, as the irresistibly creamy powder formulas blend effortlessly to leave an ultra-reflective, yet flawlessly smooth sheen. 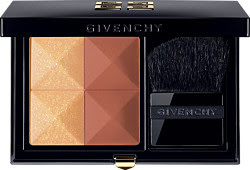 Add radiance and structure to your skin with the GIVENCHY Prisme Blush in African Earth, a Les Saisons limited-edition bronzing duo that contours and highlights. 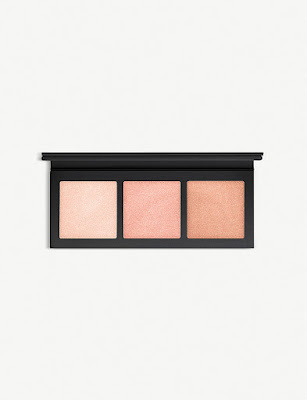 This versatile compact allows you create infinite results with its deep and earthy pairing of complementing shades for the cheeks. Bringing together a luminous gold highlighter to reflect radiance with a deep matte bronzer that shapes your features, together this Prisme Blush lets you emphasise your best angles. Apply the highlighter to the high points of your face, then create structure with the earth coloured powder for seamless contours. 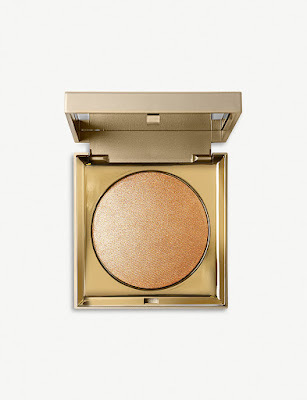 With an ultra-light texture that feels as if it’s hardly there, the Heaven’s Hue highlighter from Californian label Stila is perfect for helping you achieve beauty’s buzzword: glow. Formulated with light-diffusing particles, your skin is instantly revitalised leaving behind bright luminosity. Shimmer and shine confidently, just use a powder brush to disperse the sparkling formula across your décolletage and cheekbones. Add golden luminosity to your skin with the Benefit Sun Beam Complexion Highlighter, a sun-kissed highlighter that enhances your complexion with glowing warmth. The Benefit sun beam highlighter is enriched with a shimmering skin finish that caresses your skin with a sun-kissed glow that exudes post-holiday radiance. Ideal to highlight and strobe your skin, sun beam’s ethereal luminosity will lift, brighten and accentuate the high points of your face for a natural, healthy finish. Apply Benefit’s Sun Beam Complexion Highlighter to the high points of your face, then blend.